Help Our Village Snow Plows By Moving Your Vehicle! If you live on the following snow routes please move your vehicles when there is two inches or more of snow on the ground or they may be towed. 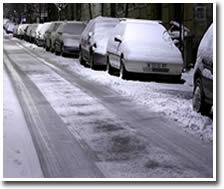 The ban remains in effect until the snow is cleared on that particular street. Thank you for your cooperation.